The Big Island is an outdoor paradise for hikers. The low population density, miles and miles of hiking trails, waterfalls, and many different climate zones, make hiking one of our favorite pastimes on the island. The outdoors in Hawai`i are ever-changing, and a hike can take you to coastal dunes, shrub lands, rainforests, and even high alpine deserts. You can find hiking trails on the Big Island for all levels of skill and fitness. 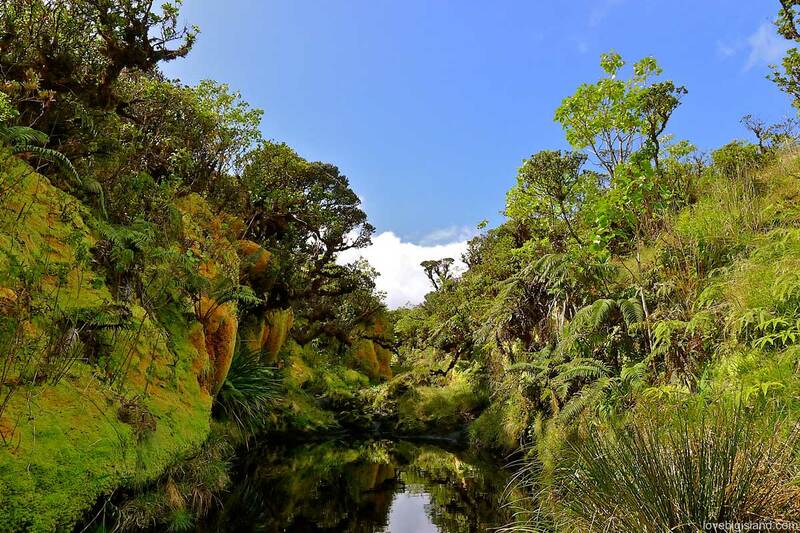 From the beginner level scenic hikes such as the Onomea trail north of Hilo, to the more rigorous Halini Pali 7-mile trail down the side of the Kilauea volcano, to the multiple day, 35 mile, Mauna Loa trail. Short on time? Have a look at our top 5 short hikes on Hawaii! Hiking is a great way to get off the beaten path and explore the island undisturbed. 8 out of 13 climate zones worldwide are represented on the Big Island. This means that there can be a totally different view hidden around every corner. Hiking allows you to explore all these beautiful places on your own pace. 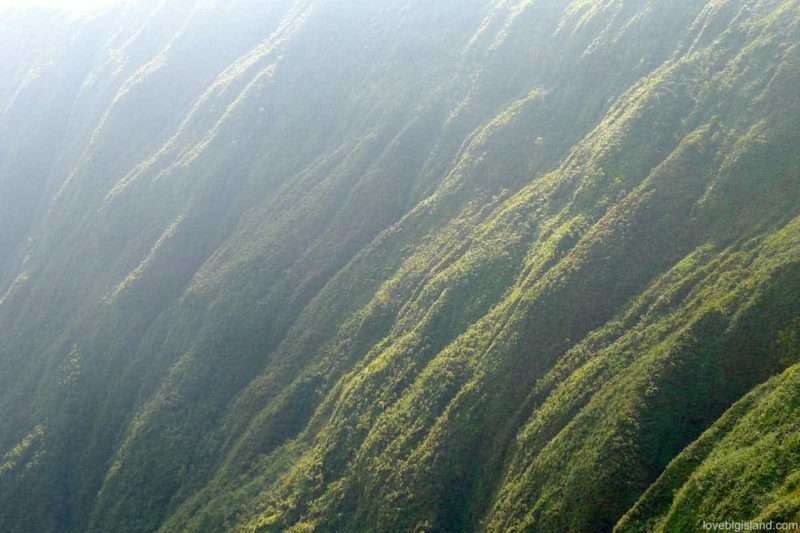 we have compiled a list of the 5 best short hikes on Hawaii. This list represents what we think are the most popular and doable hikes in the Big Island. A slightly longer but certainly worthwhile hike is the hike to Green Sand Beach. If you are looking for more “off the beaten path” hikes, we heartily recommend the Big Island Hikes web page. 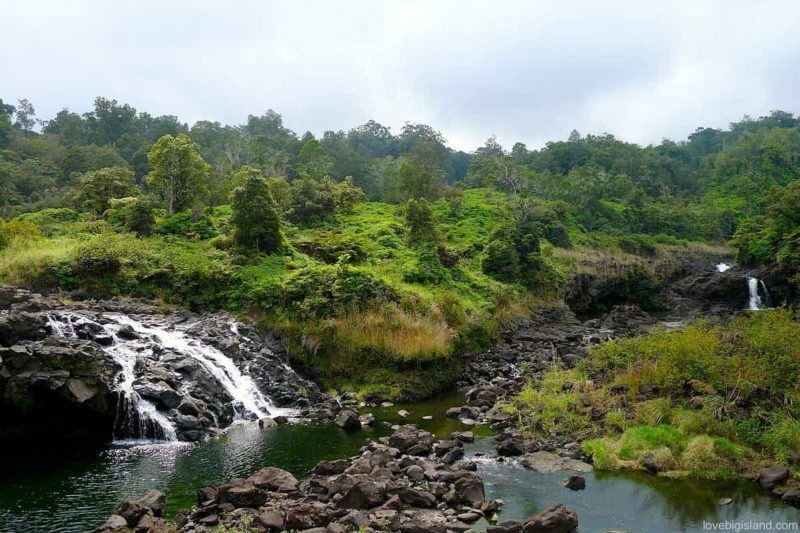 The official site of the state of Hawaii (“Na Ala Hele”, maintained by the Hawai’i Division of Forestry and Wildlife) also offers extensive information on 18 hikes on the Big Island: the State of Hawai‘i Trail and Access Program. Signing up for a guided hiking tour is an option if you don’t want to take too much time to prepare your hikes and just want to enjoy the scenery and learn from an expert guide about all the beauty that you are seeing. At the moment there is no specific local company specialized in guided hikes that we can recommend. You can find a collection of organized hikes organized by local companies here. “Be prepared” is the best advice we can give. Hiking trails are often rugged and can be poorly maintained -> be careful where you put your feet. The forest floor can be muddy and uneven. Do not wear flip flops but wear trainers or proper hiking boots. Most trails are not clearly marked. Never go hiking alone, take a detailed map of the area you visit and carry a cell phone for emergencies. Always pack enough water and some food. Bring sunscreen and plan you hikes always during daylight. Don’t take unnecessary risks, be safe, and be respectful of the land and the people. The Hawaii Volcanoes National Park has compiled an extensive list with smart hiking tips especially for hiking on the Big Island. You can find that list here.